There are three main mesothelioma cell variations: epithelioid, biphasic and sarcomatoid. Each cell type plays its own role in determining a patient’s prognosis and treatment. Aside from the location and stage of the disease, mesothelioma is also categorized by cell type. 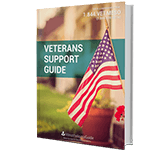 There are 3 main cell variations, each with various subtypes. Each cell type has an effect on the prognosis and treatment patients receive. The cellular variations of mesothelioma are the result of genetic mutations of healthy cells caused by asbestos. Epithelioid cells are the most common cell type in cases of mesothelioma. Patients diagnosed with an epithelioid cell type generally have the best life expectancy. It is the most treatable. Sarcomatoid cells are the least common cell type. Sarcomatoid cells spread more quickly than epithelioid cells. This results in a shorter life expectancy and fewer treatment options. Biphasic cell types are those which have both epithelioid and sarcomatoid cells present. The life expectancy of the patient is better if there are more epithelioid cells and worse if there are more sarcomatoid. Although the types of treatments offered to patients are primarily based on the location and stage of the cancer, the cell type may affect how aggressive treatment is likely to be. Variations of mesothelioma are another reason why seeing a specialist and getting a second opinion is so important. Histology is the study of the cellular makeup of bodily tissue on a microscopic level. 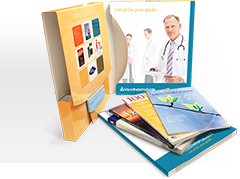 It is a branch of biology important in the diagnosis of mesothelioma cell types as well as other cancer types. 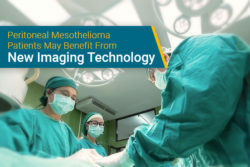 When a patient is suspected to have mesothelioma, doctors first examine the tissue or fluid sample under a microscope to determine if the cells are cancerous. Samples are typically taken by means of a biopsy or fluid extraction. Each mesothelioma cell type has a different shape, size and appearance; however, further testing of these cells is required because they often closely resemble cells in other cancers. Histopathological testing (the study of diseased tissues) of antibodies and other proteins is used to determine if the cells are mesothelioma. This ensures an appropriate diagnosis. 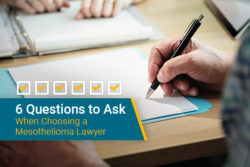 Because several types of cancer closely resemble mesothelioma on a microscopic level, pathological tests are the only way to make a conclusive diagnosis. For example, epithelioid mesothelioma is hard to differentiate from a type of cancer of the glandular tissue known as adenocarcinoma. People who have been diagnosed with types of cancer that histologically resemble mesothelioma, such as adenocarcinoma, should be cautious. If they believe they have been exposed to asbestos in the past, a second opinion should be secured to ensure their diagnosis is 100 percent correct. The human body consists of four essential types of tissue: the epithelium, connective tissues, muscle tissues and nervous tissue. Each type of tissue consists of hundreds of thousands of cells with various purposes. The cells that become mesothelioma are those that are part of the epithelium. The epithelium is the tissue that lines the entire body. This includes internal organs and the cavities of the chest and abdomen. The cells that make up the epithelium are known as epithelial cells. However, many types of cancer can develop from these cells, which contributes to the difficulty diagnosing mesothelioma. Cancers of epithelial cells are known as carcinomas and make up 85% of all cancers. The epithelial tissues that specifically line the heart, stomach and lungs are known as the mesothelium. This permeable tissue is made up of flat-squamous epithelial cells, or mesothelial cells, whose purpose is to lubricate the layers of the mesothelium. This allows the organs lined by this tissue to expand and contract normally. Epithelial cells also play an important role in phagocytosis. This is the process by which certain cells encapsulate bacteria, dead cells or foreign particles. This is an immune response to protect the body. However, when asbestos fibers are phagocytized, the result is the genetic mutation of the epithelial cells and the possible development of mesothelioma. Epithelioid mesothelioma is the most common cellular variation of mesothelioma. It accounts for 50-70 percent of all mesothelioma cases and is the most treatable. This cell type gets its name because it is a cancerous mutation of epithelial cells. Sarcomatoid mesothelioma is the most rare cell type, accounting for only 10-20 percent of all mesothelioma cases. This cell type has the worst prognosis due to its ability to spread faster than epithelioid cells. Sarcomatoid mesothelioma cells have a histological makeup that resembles sarcoma-type cancers; however, sarcomatoid mesothelioma, like epithelioid mesothelioma, is caused by the genetic mutation of the mesothelial cells. The difference lies in a transformational cellular process called epithelial-to-mesenchymal transition (EMT). EMT is a process by which epithelial cells transform into mesenchymal cells. Whereas epithelial cells are part of the epithelium, mesenchymal cells are part of the connective tissue in the body, such as bones and cartilage. Cells in the connective tissues that become cancerous are known as sarcomas, which is where the name sarcomatoid mesothelioma. EMT has been connected to sarcomatoid mesothelioma in several studies. Despite its histological makeup, this cancer still initially develops from epithelial cells in the mesothelium. Epithelioid cells may still be present in patients with sarcomatoid mesothelioma, but epithelioid cells must make up less than 10 percent of all cells to be designated as sarcomatoid. Biphasic mesothelioma is a mixed type of mesothelioma, which has both epithelioid and sarcomatoid type cells present. The cells usually arrange in separate groups within a biphasic tumor, which is why biopsies are typically taken from different parts of the tumor. This type of mesothelioma makes up approximately 30 percent of all cases. Biphasic mesothelioma varies depending on the ratio of epithelioid to sarcomatoid cells. The behavior of this type of mesothelioma is related to which cells make up the majority of the tumors. If the tumor has more epithelioid cells, the tumor is likely to grow faster in a localized area. If the tumor has a majority of sarcomatoid cells, the cancer itself is likely to spread more quickly through the blood and lymph system. Prognoses for biphasic mesothelioma patients tend to vary because of the nature of the mixed-cell tumor. Some studies show biphasic patients have a better survival rate than epithelioid patients and vice versa. Prognosis is usually dependent on which cell type makes up the majority of the tumor. Each of the main histological types of mesothelioma has multiple subtypes, which makes each case unique. 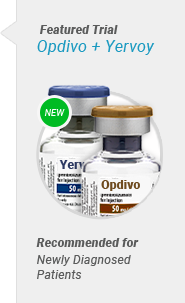 However, it is debated whether knowing the specific subtype has an effect on the type of treatment plan a patient may be prescribed. In general, the difference in treatment based on cell type is negligible. Location and stage of the disease are the most important factors when determining treatment for a mesothelioma patient. Doctors are only likely to take cell type into consideration when determining how aggressive treatment should be, and this is predicated on the basis of the patient’s overall prognosis. 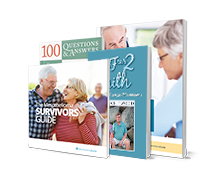 An aggressive treatment plan may be an option if the cell type provides a better prognosis. 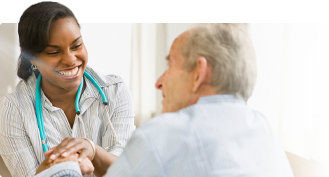 Find a mesothelioma specialist who is capable of treating your cell type and offering the best prognosis. 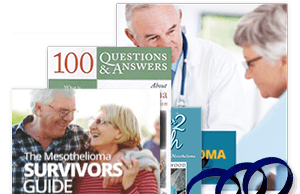 What is malignant mesothelioma?. American Cancer Society. 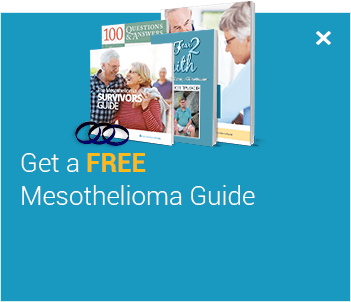 Retrieved from: http://www.cancer.org/cancer/malignantmesothelioma/detailedguide/malignant-mesothelioma-malignant-mesothelioma. Accessed: 2/19/18. Types of Mesothelioma. 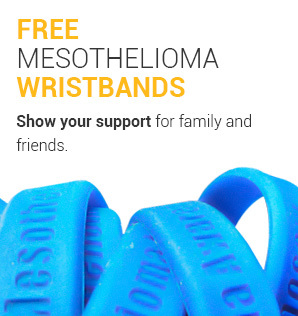 Mesothelioma Applied Research Foundation (MARF). Retrieved from: http://www.curemeso.org/site/c.kkLUJ7MPKtH/b.8052737/k.73CC/Types_of_Mesothelioma.htm. Accessed: 2/17/18. Types of Mesothelioma. Cancer Research UK. Retrieved from: http://www.cancerresearchuk.org/cancer-help/type/mesothelioma/about/types-of-mesothelioma. Accessed: 2/16/18. Last Edited: December 3, 2018.